At the recent Euro-Arab summit in Egypt, the Moroccan King highlighted the need to rethink priorities and goals for a shared and brand new future in the Mediterranean. 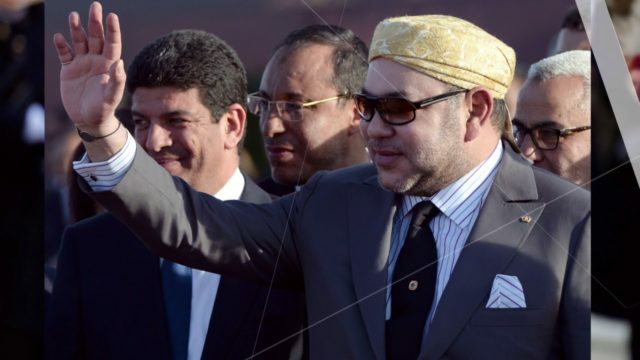 Rabat – King Mohammed VI has called for the necessity of rethinking Euro-Arab relations, stressing “shared visions” for the future and urging European countries to accompany their “Arab neighbors” in their quest for economic prosperity and human development. The new era of necessary connections and interdependence between states calls for bolder actions to improve multilateral platforms to meet common challenges, especially security and human development. For the Moroccan monarch, however, more than the necessary appeal of multilateralism to “face challenges together,” the brand new Euro-Arab cooperation would involve a more radical vision of collaboration. The radical “collaborative and responsible framework,” he argued, would have more to do with a deep-seated belief in shared interests than the usual—and unreliable—geopolitics of win-win. While the oft-cited win-win rhetoric is bound to change as interests shift and new geopolitical patterns emerge, “a genuine Euro-Arab cooperation” takes into account shared historical trajectories, as well as a common present and future, according to the King. Also essential in the Moroccan monarch’s guidelines is “neighborliness,” with an insistence on peaceful cohabitation and the respect of regional commitments and treaties. “The security and stability of the Arab world are threatened by perilous policies and behaviors of some [Arab countries] vis-à-vis others,” he said. King Mohammed VI hinted at the lack of unity and coordinated efforts barring substantial improvement in solving a number of lingering regional crises. But Arab countries are not the sole culprits, the Moroccan monarch suggested. Beneath what is often presented as “Arab conflicts” lie complexities that can extend to diverging interests and ideologies pursued by a host of actors in the region, including non-Arab countries. But such complexities should not dampen the prospects for renewal and peace, argued the King’s optimistic message. The message added that securing common interests will have positive repercussions far above security and development concerns. It will pave the way for a “prejudice-free shared future” and discredit short-sighted political calculations, according to the King. Most notably, perhaps, the message ended in a tone that suggested that King Mohammed VI, the current chair of the Al-Quds committee, embodies Morocco’s role and significance in pushing towards the brand new Euro-Arab order.